Happy Thursday to all my scrappy friends! 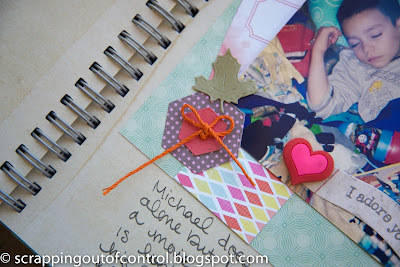 Today is Thrifty Thursday at My Creative Time! 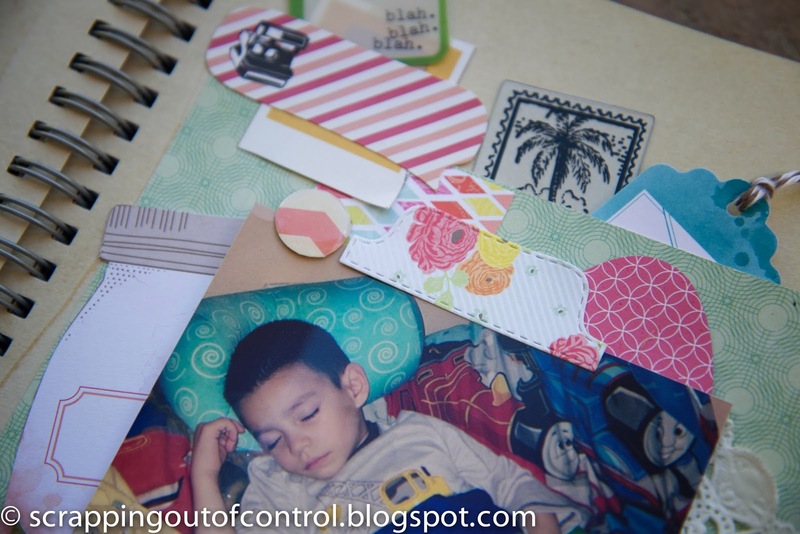 I love this because Its a great way to use all of your scraps and left over scrapbooking supplies that you may have lying around. I have SEVERAL of these little piles around my scrapbooking room. I hate throwing things away and try to use them up in my Smash Books. I think thats why my pages kind of look "junky". LOL. I don't mind this look because I think its fun and easy. The point is to get it documented right? Well what a great way to use those left over MCT dies cuts right? I have a ton of those too! I also like to pre cut MCT dies using my left over scraps. Sorry about the lighting. This was in my scrapbooking room and the light is horrible in there. Thank you for stopping by today. Get you scraps out and have fun! Thats what its about! Make sure you visit the rest of the design team for more inspiration! Big crafty hugs! Nancy ~ Well this is too CUTE and so is little Michael! What a cutie pie! 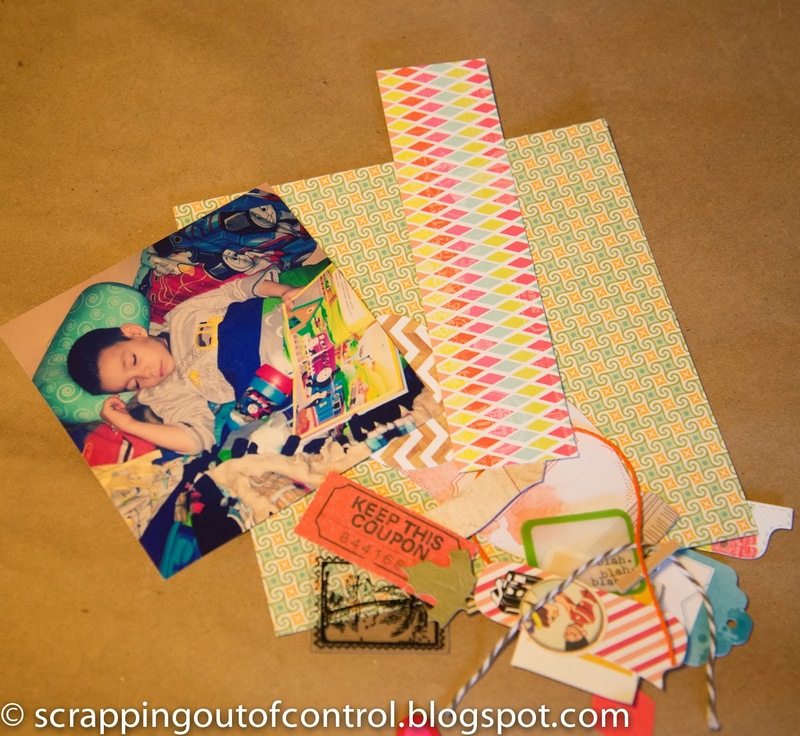 Then look at all the fabulous scraps you used! I so get your post and I do love how you smash!! Someday I have to try this! 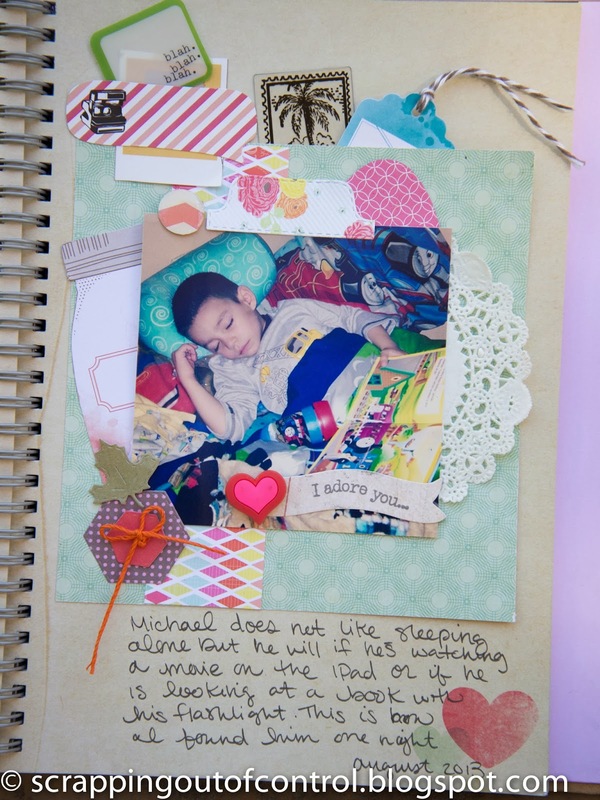 Love this layout. Happy memories. This is why we scrap!